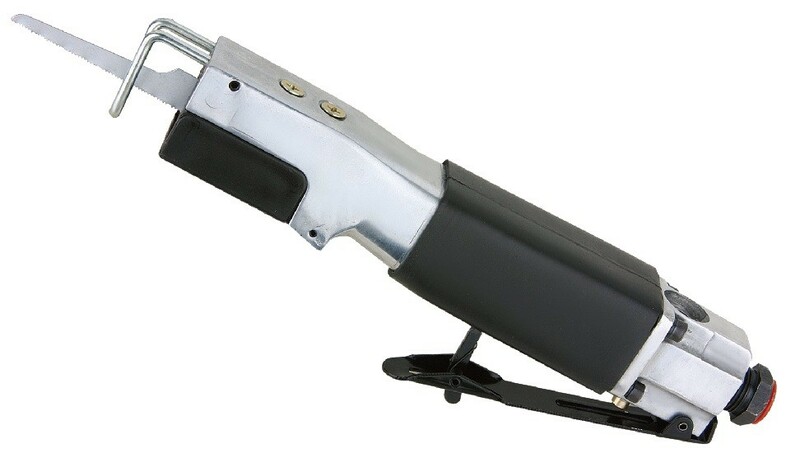 Classic car restoration is very time-consuming, and having the right air tools will save you time. Air tools deliver higher torque and are more powerful than traditional hand tools or electric-powered tools. They will decrease the amount of time and energy needed to finish your project car. 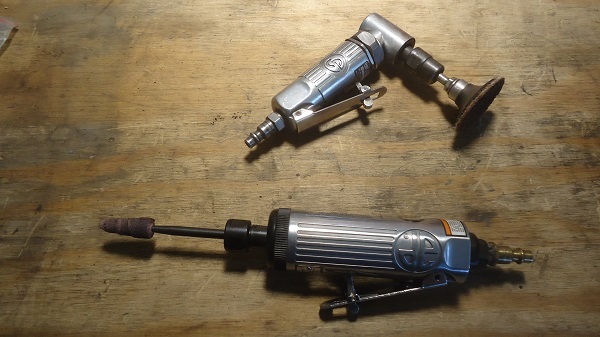 From my 35 years of experience, here's the ten best air tools for automotive repair and restoration. Note: some air tools are noisier than others. I usually wear hearing protection while running them. 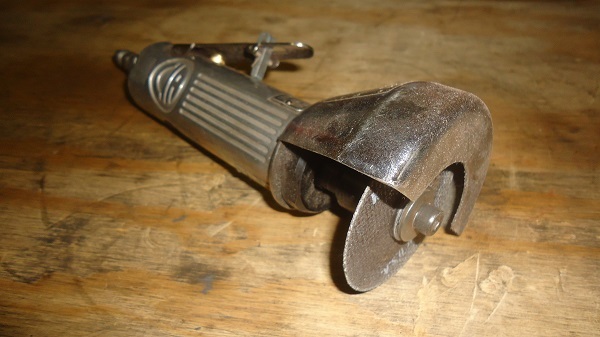 You can use tin-snips to cut sheet metal, but an air-powered cut-off wheel (a.k.a. whiz-wheel) is much, much faster. While cutting, slowly slice along a marked-off line with the cut-off wheel, letting the air tool do the work. Don't force it to cut faster, it will overheat the tool and the metal. It's many other uses includes cutting off rusty muffler clamps. A die grinder has dozens of uses, including grinding rusty metal down to clean metal quickly. Both 2" or 3" pads and discs are common, and dozens of attachments are available. By changing the arbor on your die-grinder, it can serve as a cut-off wheel. Die grinders come in either straight or right-angle, and seem to have the shortest life-span of air tools. I recommend having one of each. 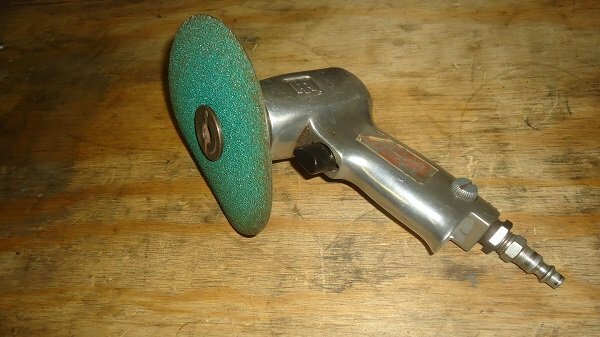 The D/A, or dual-action sander, is small and light and works at low RPMs. They have a dual orbital motion that helps prevent scratching. 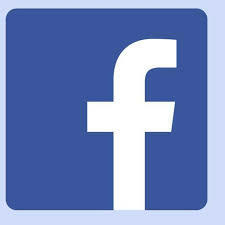 Its primary use is to "feather", or fan out, the area around a panel repair. 150 or 220-grit sandpaper is commonly used. When using a D/A sander, keep it flat to the surface and don't press down too hard. Let the sander do the work. Good air sanders have more power than electric sanders, and have a smoother action that won't fatigue your hands as quickly. 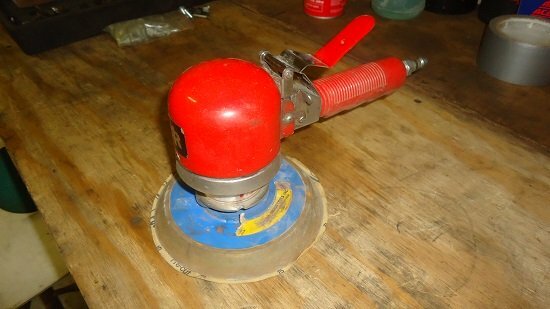 Because they work at higher RPMs without the orbital motion of a D/A sander, they make quick work of paint removal or grinding down welds. They can also warp/damage sheet metal, so they need to be used with finesse. 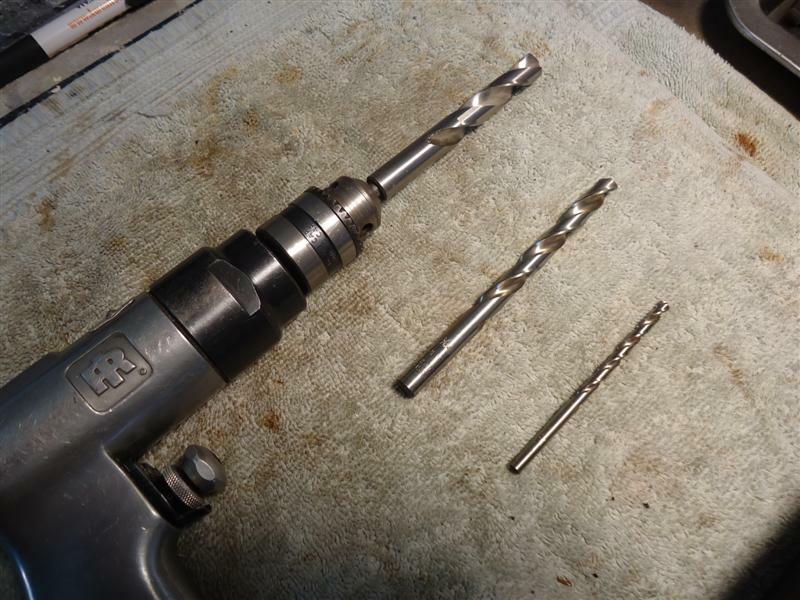 An air drill enables you to drill holes in metal without running out of power or getting the drill hot. Be careful though, air drills run so fast that you may have a hard time starting a pilot hole. This drill was particularly helpful while removing the riveted brake rotors on my 1966 Corvette. The life-saver, the miracle worker, the old Billy Baroo. 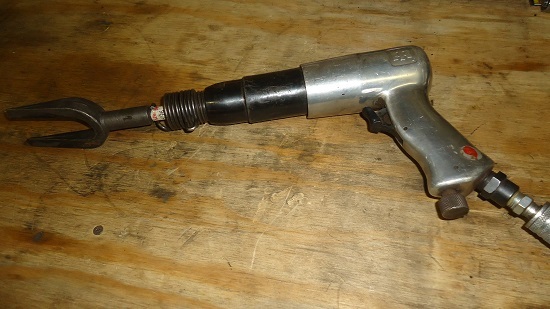 I bought this Ingersoll Rand 117 air hammer somewhere back in the nineties, and continues to get me out of more jams than any other air tool. 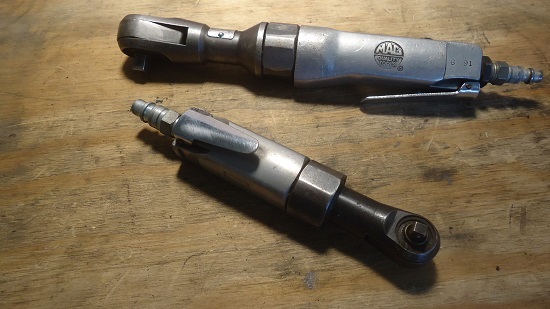 An air hammer's many uses include separating spot-welded body panels, removing tie rods from center links, and vibrating the heck out of stubborn nuts and bolts until they seperate! Having an assortment of chisel heads makes them invaluable for automotive restoration. If you need to disassemble an entire motor quickly, you need an air ratchet. Impact guns can only fit in so many places, but air ratchets fit in a lot more. To me, the smaller 1/4" air ratchet is most useful. Not only will it fit into places hand ratchets can't, it will deliver needed torque to remove that stubborn nut or bolt. An air saw is more compact than a Sawzall or Portaband, so it's handy for close quarters, such as cutting part of a floorboard out. They're ideal for fiberglass or carbon fiber or really small detail cuts. It's like a mini-Sawzall, but a lot smoother. 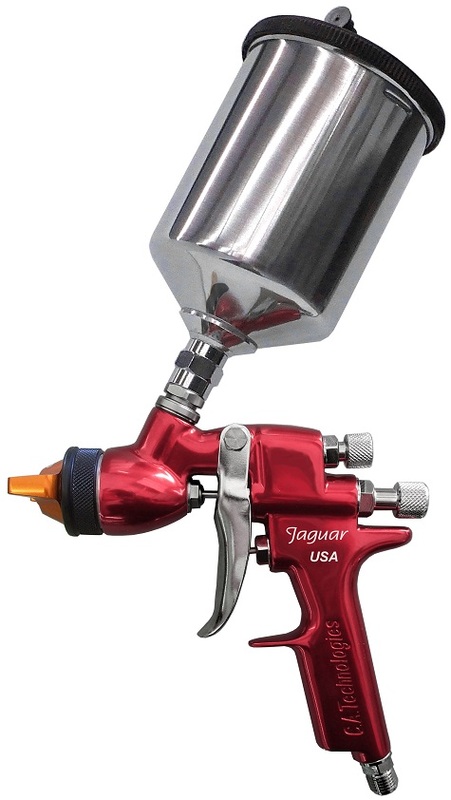 I've been using a turbine spray system when painting cars, but I also have a small siphon-feed spray gun for tight quarters and small panels. It's also good for motorcycle gas tanks and fenders. The many uses of a air blow-gun include cleaning fuel lines, blowing away filings and metal chips, cleaning spark plugs, etc. 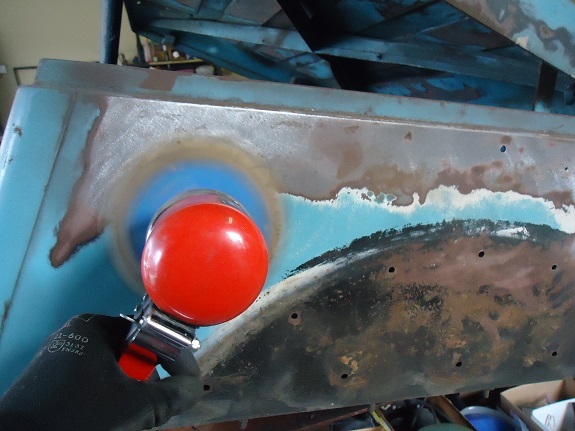 I use mine quite often for drying metal panels and parts before painting. After you're done with your garage session, you can use the blow-gun attachment to clean up your shop area. 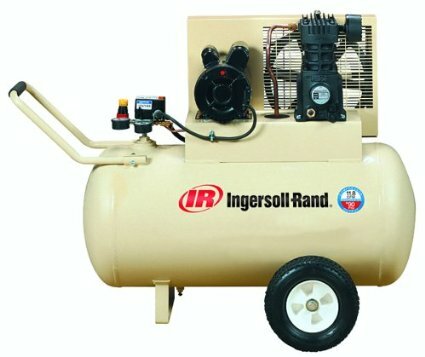 Having a garage air compressor and air tools saves you time and allows you to work more effectively. Like other shop equipment, they are an investment, so buy quality name brands when you can. 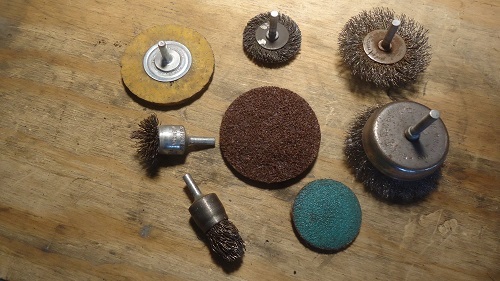 Some of my air tools are over 20 years old, and work just as well today as when I bought them. 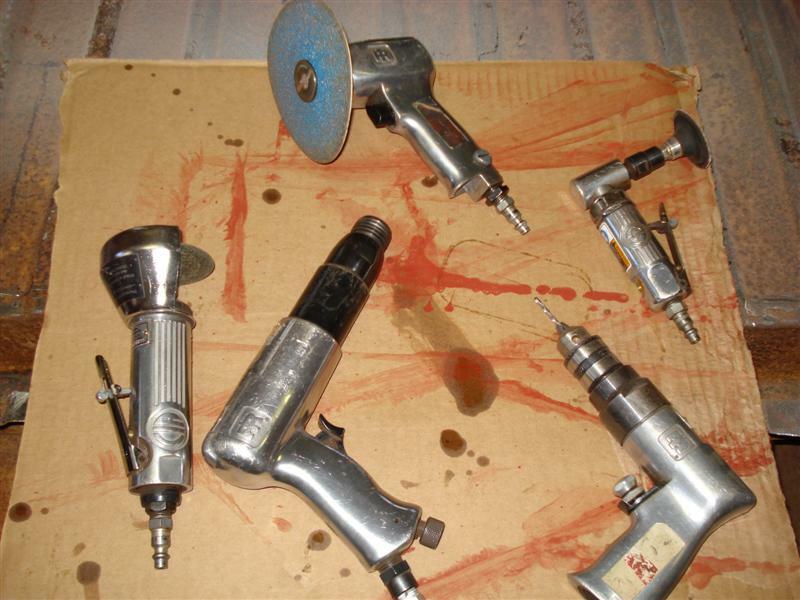 Having outlined the ten best tools for automotive restoration, a final word about maintenance. Even with a filter/regulator, moisture from the air compressor gets through the hose and contaminates air tools, so adding a bit of oil before or after every use is a good idea. Although in-line oilers look effective, I've never used them. 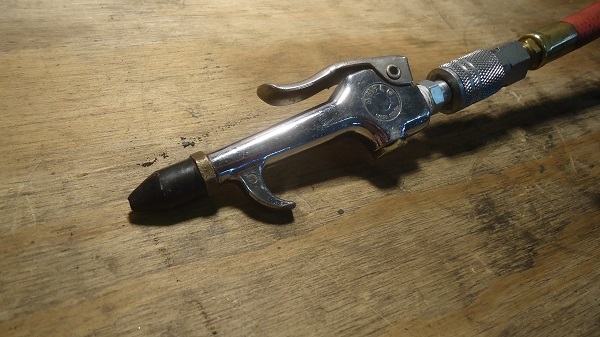 Over the years I have gotten into the old-school practice of oiling every air tool before I connect it to a hose. Several companies, including DeVilbiss, offer short desiccant hoses. These have an inline air filter to help removes dirt, oil and water.